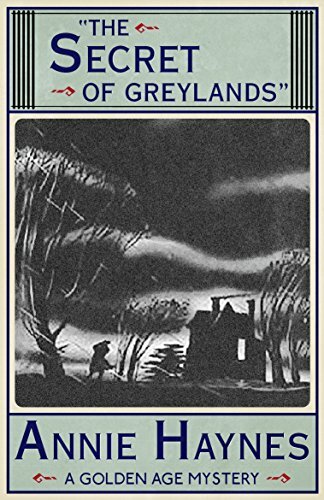 What has really happened to Hannah, and the other entangled mysteries along the way, make The Secret of Greylands (1924) an absorbing golden age crime novel matching Wilkie Collins’ high Victorian gothic to the agility of early jazz age fiction. This new edition, the first in over eighty years, features an introduction by crime fiction historian Curtis Evans. I have read some pretty atrocious reviews on this book...particularly that it's hard to read. Another complaint was boredom, or lack of mystery. I, however, found this book quite addictive. I was hooked from the beginning, particularly from the description of the dark and brooding moors. Maybe I am biased, for the 'mansion on the moors' story is always compelling for me, particularly from a gothic romance/suspense point of view. I loved the language in this book. I think because it was truly written back in the post-Victorian age (with language from that era in tact), I was really able to absorb myself in this bygone era. An era of simplicity and of rolling hills and vacant moors and rambling old mansions where ghosts reside. What's more than the atmosphere is the mystery...where is cousin Hannah? And, yes, after a bit you come to the conclusion of who the culprit is but as another reviewer stated, the broodingly dark atmosphere and the quest to see what becomes of the main character keeps you flipping the pages. Just another example of why a bad review doesn't always mean a bad book. I loved this one and though it's deemed a golden age crime mystery, it really reads more as a golden age gothic romance...yes, there's some romance involved as well! 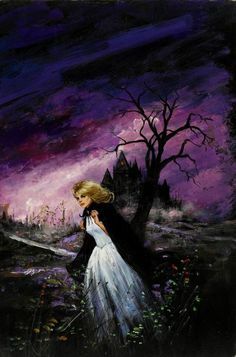 Best Gothic Elements: stolen identity, hidden identity, stolen inheritance, murder, dark and brooding mansion on the moors, imposters, heroine getting lost in the muddy moors near dusk, strange and conniving nurse maids, mysterious illness. I have purchased several more of these golden age mysteries from the Amazon Kindle store. Here's to hoping the rest are every bit as good as this one was. ...both my arms cartwheeled as a super strong shove between my shoulder blades sent me careening forward. 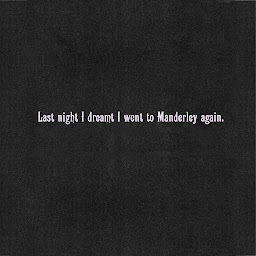 I stumbled onto my knees, using my hands to break my fall. Sharp pain shot through my palms, as I'd slammed them on jagged rocks. Before I had time to turn around, the door slammed shut, and the unmistakable sound of a deadbolt turning pierced the wind's howl. Clutching my sides, I trotted down the steps and peered at the top floor windows, dragging my sopping hair out of the way with one hand. Lightning slashed the sky, and that's when I saw it. A fuzzy outline against a dimly lit backdrop, its head hidden behind a black cloak. "Open the door," I yelled at the top of my lungs, but the violence of the storm swallowed my voice. I scanned the ground for a stone. There was one near the barrel. I hurtled it toward the window. I missed. I couldn't spot more loose stones around me, only half-buried rocks. Grasping a jagged edge, I pulled and pulled, but even though the ground was slushy, it wouldn't give. Using my nails, I dug around the rock and freed it. Tears of frustration mingled with the rain in my eyes. It was too heavy. I could barely lift it, let alone throw it far. Exhausted, I lifted my eyes to the window high above me. Rain pelted down on me, but I knew what I saw. I really enjoyed this novella. 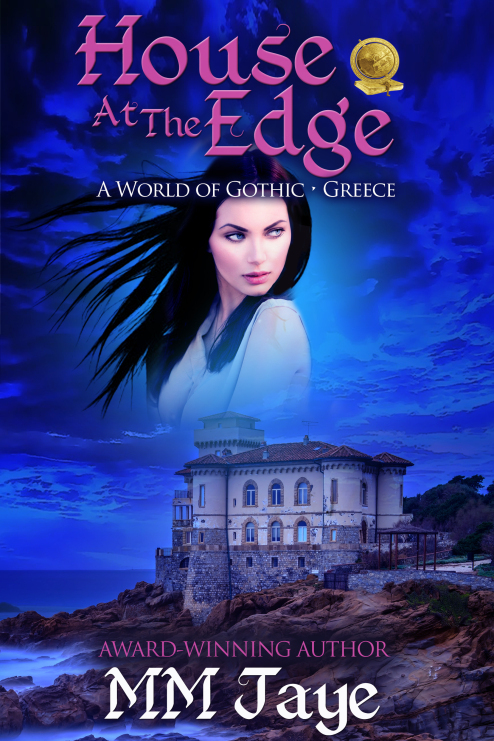 I was especially endeared to the main character and her plight to escape to the country of her roots (Greece) after the very foundation (and support network) of her life seemingly crumbled. Desperate to start over, and clutching at straws for a chance to support herself, she busies herself as the (unwanted) cook to the ruggedly handsome Petros. Little does she know that Petros has his own ghosts to deal with (literally)....but when it comes to matters of the heart, she's willing to weather the storm for a final chance at happiness. With ghosts, secrets, betrayals, paranormal elements....and romance....there's too much about this book to put down. I think I read it in two sittings. It weighs in just at 112 pages, and I totally wish it had been longer but it was still an excellent modern gothic read. 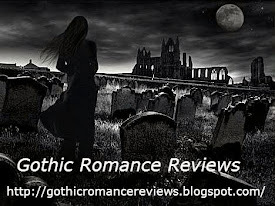 I recommend to fellow gothic romance / paranormal romance / romantic suspense fans. Best Gothic Elements: murder, betrayal, ghosts, buried treasure, secret identities, secret passageways, a ghost cat. I also noticed there were several more of these books with settings in locations form around the world. I have purchased several and hope to review them soon. I discovered them in the Kindle reads on amazon. As she walked up the driveway, she could hear the sound of his car receding in the distance. Once it was gone, silence descended in a thick blanket, broken only by the wind moving in the trees over her head. Her tiny light cast a weak, wavering beam through the inky darkness. She wished she had a larger light. She also wished she'd worn low-heeled shoes. Picking her way along, she tried to avoid the larger rocks on the driveway. Then her heart gave a thud. Something rustled to her right, in the dense bushes that lined the driveway. Her heart pounding, she stopped and flashed the light into the bushes. She could see nothing. Remembering the rabbit in the woods behind Arenel, she smiled. No doubt it was one of the small animal's relatives. She walked on. The sound continued. It was paraleling in her course. No rabbit would do that. She quickened her step. Footsteps in the darkness beside her kept pace. Don't panic, she told herself sternly. The she did. Breaking into a run, she headed up the driveway. Behind her she could heart her pursuer. Whoever it was had left the cover of the trees and was on the gravel. She heard someone directly behind her. She strid to move. An axe came whistling down. It narrowly missed her arm. The blade landed only a few inches from her hand. With the strength of desperation she wrenched herself up and away from the cold steel. No memory ever remained of the last few yards. One minute she was on the gravel. The next she was pounding on the white door. It seemed almost as if Death were stalking Sarah. Her writer-husband had been killed in an automobile accident in which she had been injured. 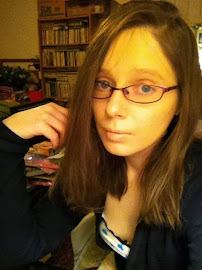 Now, forced to forget and earn a living, she had come to Arenel to catalogue the library of Lady Marion, only to discover that her friend, too, had died suddenly since hirig her, and that there were those at Arenel who would have turned her from the door without qualm. Perhaps she should have left, but somehow a force stronger than their antagonism impelled her to force her way in and to meet the challenge they presented. This is a Lenox Hill Press book, but the quick-mystery reading and the layout reminded me of the earlier Avalon gothic romances. There's quite a mystery packed tightly into the short 192 pages of reading. It's a little formulaic but surprisingly that doesn't take away from this sordid tale. You have the typical young girl, reeling from the loss of death and overcoming a head injury, who comes to a mysterious old mansion for a job...only to find madness, family secrets and peril awaiting her. There's also quite a twisted family tree enmeshed between the gory details of one girls brush with death and murder. 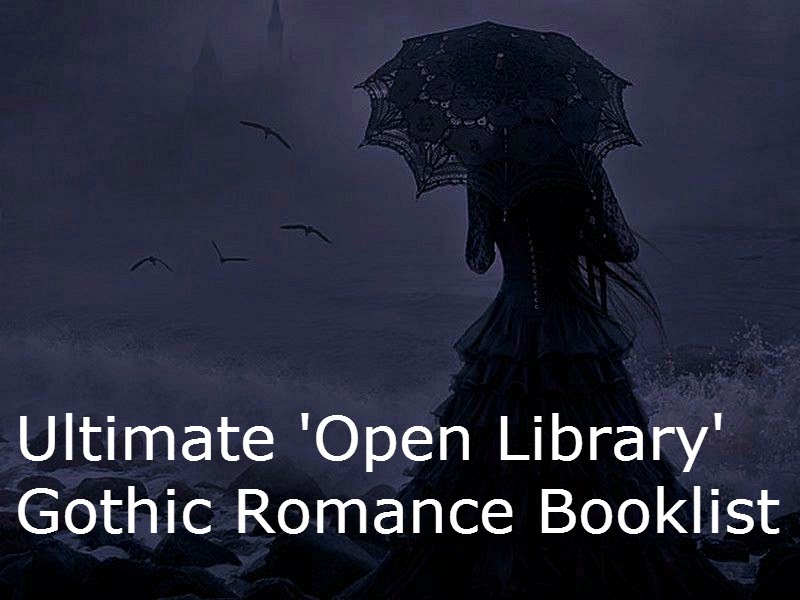 Definitely an origial vintage gothic romance. Worth the read! 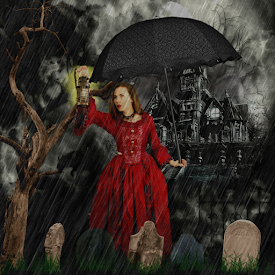 Best Gothic Elements: a real life ogre; twisted family relationships; stolen identity; switched identity; treasure-seeking; an inheritance at stake; murder by poisoning; dysfunctional family history unveiled; incestual relations. Melissa dreamed that she was climbing a great crimson mast, up into the sky. She could see above her an octagonal lantern, like that of a lighthouse; her feet were bare on the glittering rigging. She as climbing; and hyet she ast in the square below, watching herself. It was perilous; she was afraid al the time that she might fall, but knew she must go on. To reach the lantern, to trip on to it to crawl inside it, where joy awaited her; she must do this. Her feet were bleeding; she saw her other self, quiet on the benches, watch the slow black drops of splash on to the cobbles. Her body ached; all her bones were strained to the ascent. At last she came to the octagon, but it had diminished, to othing greater than a street lamp. He was small inside, but she could not go to him. She tried t peer through the smudged glass, to call to him, but could make no sound. Her hands, slipping in rain or blood, gave way; she fell, but slowly, cushioned by the air, srapped in its comfort. Soon, like a parachutist, she was feel the comfort cease and would rush down on to the stones. She tried, as she fell, to catch at the rigging; it eluded her. The crowd was rushing up at her, faster and faster, white faces like so many expanding moons. 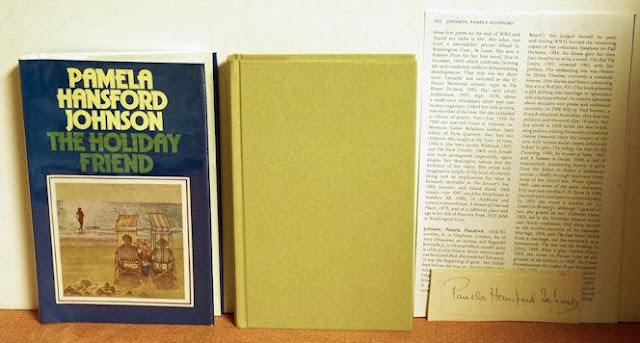 This story of a fateful holiday begins quietly at a Belgian seaside village, which Pamela Hansford Johnson beautifully evokes. Gavin and Hannah Eastwood are vacationing there, with their 12-year-old son. But Eastwood has been followed to Belgium by one of his students who ahs fallen in love with him – a girl living in a romantic fantasy. Her presense sets up a tension which increases as Miss Hansford Johnson carries her story forward with wit and acute perception. While the Eastwoods try to cope with an obsession, their small son secretly pursues his own sinister holiday friendship. The vacation which began so peacefully explodes in a shocking climax. Although this story was labeled in the genre of Gothic Romance at the local library, I think it's more of a thriller/mystery selection. Nonetheless, it has some great gothic romance elements that make for eager, suspenseful reading. The book rotates from the three different viewpoints, so you really have three separate stories wrapped into one. First there is the young, obsessive Melissa Hirst. Poor, without any family to speak of and in love with an Art History professor who does not know she exists. Melissa even follows him on holiday, obsessively pursues a forced friendship with the professor and his wife, forges relations with their young son whilst making a nuisense of herself. The viewpoint then changes to the Eastwoods and their personal reaction to the increasingly-pervasive Melissa and her unhealthy, fantasy-based notions that she if she pursues and loves hard enough, Gavin Eastwood will eventaully fall in love with her. And, although her redirects the girl and misleads her several times, in secret, the Eastwoods do not care for the poor girl at all. Then there is Gavin, the 12-year-old son for which the Eastwoods love full-heartedly, yet cannot ever seen to be satisfied with the child. They feel he lacks in growth and development, they worry over the finances of his schooling as well as his failure to thrive in a schooling environment. They also desperately seek time away from the child for their own selfish passions, thus allowing leeway for the child to get involved in his own sinister dealings with an older foreign boy. Back and forth you go, the push and pull effects of Mellissa and the Eastwoods. 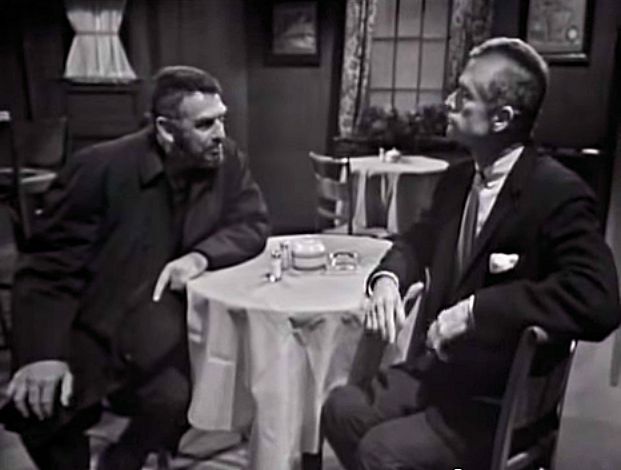 The galvanizing, zany characters of two other families who are also vacationing at the inn. The bizzarre holiday atmosphere and the celebratory comings and goings of circus acts and fairs, both brilliant yet with dark undertones that keep the reader hooked from chapter to chapter, almost in 'need' to know what happens next. I loved this book. It's eloquently written and beatifully detailed. 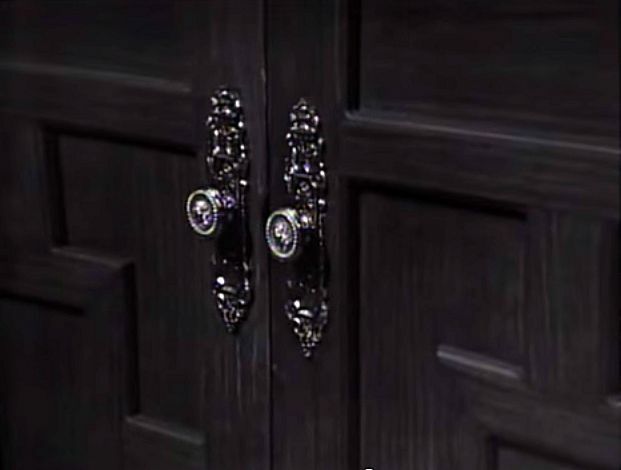 I almost felt as if I were watching from behind a crack in the door as Melissa made a mockery of her childish crush time and again whilst putting undue stress on the Eastwoods right up until the final, deadly grand finale. 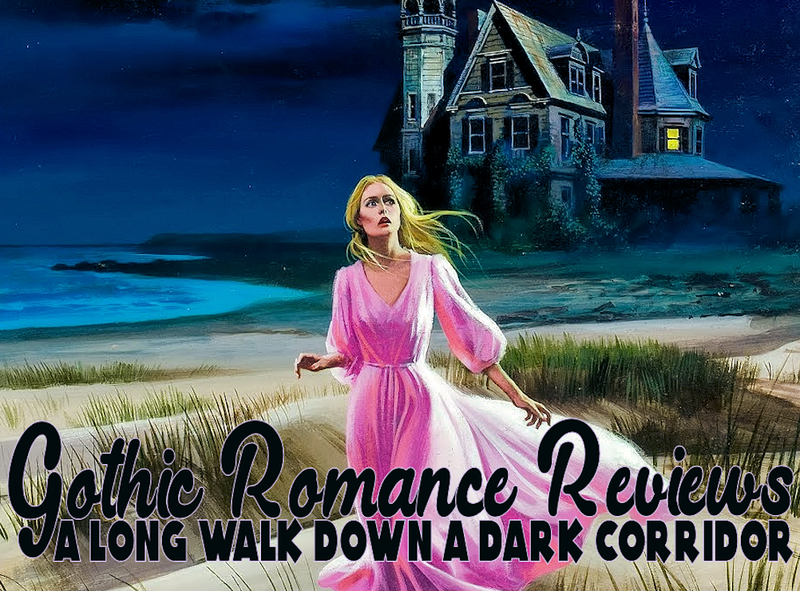 Best Gothic Elements: romantic obsession, murder, mysterious friendships forged during foreign travel, murder. There could be no blackness blacker than what I faced. I looked wildly around. There was no escape anywhere from the all-enveloping depths of night. Whatever I did, wherever I moved, I was surrounded by blackness. But I could not retreat now. I stopped and felt below the gaping hole and found the lintel, a row of stones a foot high. I stepped over it and was inside- something. I moved a pace forward and stopped. Behind me there came a chuckle, just a host of a please chuckle and a ghost of a thud. I put my hand behind me. I must get out. My hand found only rough stone. The wall had closed behind me. I panicked. I threw myself against it and beat with my hands and called to the unknown to let me out. I tried entreaties, and stopped at last, breathless. It was another joke, of course, by someone. Soon someone would come and open that stone wall. I would have to be patient. Gasping, I leaned against the wall and waited. Nothing happened except that my breathing became more quiet. My palm stung as if I had scraped it. Perhaps, for some reason, I would have to wait a few minutes. Then, at least, I thought, I should see where I was, and why. Almost reluctantly I puled out the flashlight and switched it on. And screamd again. “The night has a thousand eyes,” I babbled. The Chateau of Laurais looked stately yet welcoming in the clear moonlight as Jenny Warren approached it in her little car one evening in June. She knew that the romantic building held many treasures and secrets; secrets she was determined to penetrate, if only because it would pelase her beloved Oliver, back in Boston. Sent to France on an ample budget by the terms of her aunt's will, Jenny had decided she would go to stay at Laurais, meet the young owner, and catalog for herself the fine porcelains and other art objects he had been sending to Oliver to be sold in America. Within a few days she realized that her role in the chateau was more than that. She had been shot at in the woods, her room had been searched, and she had been warned to leave Laurais or face the consequences. Who was her enemy? Was it Dr. Collomore, the saturnine art expert, the blon German Valkyrie who was her fellow guest, her hadsome host, or his difficult lawyer friend who wanted to sell the whole collection at auction? Where was the priceless Book of Hours, the real object of her quest? Suspense mounts as Jenny finds herself embroidered in an intrigue of deception, danger, and romance. True to the original elements of a true gothic romance novel, this is one of the best I have read in quite a while! Fueled by unrequited love, Jenny partakes upon herself the responsibility of traveling to a foreign country in search of a lost treasure that will bring her true love, imbittered by a disability, enough fortune to buy his own happiness. Although she goes in search of a historical relic work millions, the ancient Book of Hours, she finds herself doing more treasure-hunting which inadvertently pulls her into a dangerous game of old betrayals of war, murder, and stolen treasure. As bodies start dropping around her, Jenny must keep her wits...or ultimately she'll die. I'd recommend this read to any gothic romance fan. It's also a great traveling adventure for those who enjoy a good store about one who vacations abroad. Best Gothic Elements: This novel contains everything that creates a true, compelling gothic romance read: a girl with no family inherits her aunt's riches, under stipulation of a will she travels to a foreign country; unrequited love that sends her into a journey straight from her nightmares. Hidden treasure, murder, historical espionage and bitter familial feuds and betrayal. A bit of a history lesson even lies between the sordid details of Jenny's nightmarish voyage. Across the school parking lot, I saw my mother standing by her car. She beckoned and I started toward her quickly. “What's going on?” I said. “Get into the car,” she said. “Just get in, I'll take you home,” she said. I got in and almost before I closed my door, she was backing out of the parking spot. She took a deep breath and looked at me. “You haven't heard the news?” she asked. She started to cry and had to slow down and pull the car to the side of the road. I actually tried to speak but couldn't. My throat had closed up. TWO FRIENDS AS CLOSE AS SISTERS. ONE KILLER SECRET THAT WILL TEAR THEIR SMALL TOWN APART. 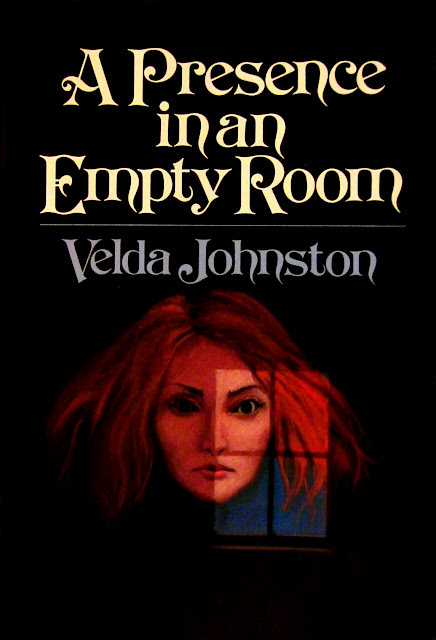 In comparison to Flowers in the Attic (written by the original V.C. Andrews), I'd have to call this story 'generic.' Unlike the earlier series where the story refers to the deeply-rooted pathos of it's characters and a past that unwinds as mysterious as the sordid present, this novel felt flat. It actually seemed like most of the book just fleshed out odd details to fill more pages. For example, how many times do you need to read about Zipporah's horrible, boring days at school? After a bit, these details become redundant. 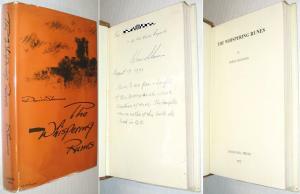 It seems that this book is filled with the same details over and over, rather than digging into family secrets. Everything seems so surface, not at all the feel of my regular V.C.A. Reading. The storyline and idea were terrific...the idea of two girls losing their sense of reality in an old attic, playing pretend. Everything is so fairytale until someone dies.....yet it becomes boring rather than the type of page-turning story that reels you in and won't let go. I also had a really hard time commiserating with either of the main characters, Karen or Zipporah. They both seemed like spoiled brats. There was no adversity with either of these girls. No humiliating past, no previous suffering. And the character of neither was really excavated. Just two girls who had perfect lives, who chose to ostracize themselves from the rest of their highschool class, who prefered fantasy over reality and thus one girl allowed that fantasy to overpower reason. 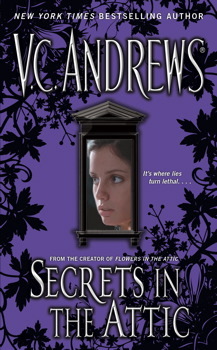 I usually enjoy my V.C Andrews reads. Given, I'm not saying I didn't like this book. It's a fair read, I've just read better from her series. If you're a fan, give it a go. Just don't expect it to be anything like Flowers in the Attic just because it shares the 'attic' bit. Best Gothic Details: two girls who hide out in an attic and play pretend to forget the troubles of the world, a dusty attic with relics from the past, playing dress up in the old clothes and trunks in the attic, murder, a character so mad with mourning that he dresses up a manequin to act as his dead mother, odd incestual relations (this is most any V.C.A. Book, really). Leah took a deep breath. It was against her better judgement but Doris was a friend. "All right, Doris. Give me a couple of hours." "Leah, you're the greatest! Thanks a million!" Leah wished she hadn't promised the moment she hung up. But she was committed. She waited until about eight before she caught a bus and went back to the office, crossing the familiar lobby, quiet and empty. She had forgotten to turn in her key, so she let herself in and flipped on a light in the hall. "Doris, are you here? It's me. Leah!" There was no answer. Leah frowned. That was odd. Doris had been so anxious for her to come. Where was she? Then she spotted a light burning in Sarah's sewing room. Doris must have stepped in there for something. "Hey, what are you doing..."
Leah's words came to a full halt, dying on her lips. Doris wasn't in the sewing room. But Sarah was. Sprawled on the floor. Very still. "Sarah!" Lea gasped. "Sarah! speak to me. Sarah." Leah quickly bent over Sarah and saw the ugly bruise on the side of her head. There was also smudge of blood. "Sarah speak to me! Sarah!" Talented and lovely Leah Jordan entered a maze of mystery when she came to work at Mimi's Fashions in New York. Mimi was a legendary designer known for her strange moods, but artistic temperament alone could not explain the fear in Mimi's eyes, nor the peculiar after-hours goings-on that Leah stumbled upon while working late one night. When she was suddenly accused of selling the company's designs to a rival firm, Leah realized that someone was trying to get rid of her. She could not even trust the handsome, charming business executive, who said he loved her, to help her cut through the cunningly woven pattern of evil enveloping her. Then murder struck, and Leah knew she was fighting not only for her budding career but for her life itself, in a world where beautiful fashions hid some very ugly secrets. Candlelight romances were released by Dell. Their line of books were released in several diverse genres, much the same as Harlequin and Love Inspired books are these days. My research for other titles in their mystery line didn't yield much success. I can't speak for any of the other Candlelight Mystery releases, but this one read much in the same fashion as a vintage gothic romance with a modern twist. 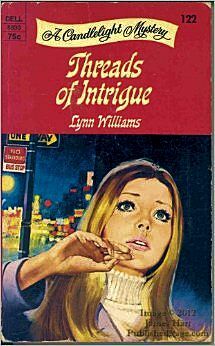 The main character, Leah, felt that she'd found her dream job working for the prestige garment company Mimi's Fashions only later to be drawn into a bizarre web of mystery and murder. Between working, juggling several romantic interests and dealing with her personal family drama, Leah finds her own welfare threatened as bodies begin to drop at her designing firm. Could it be a rival garment firm, or something more sinister? This was a quick, fun read. I enjoyed it very much and hated when it ended. I'm afraid I'll probably never find another gothic suspense related to the fashion industry, but the topic was weaved into the story so effortlessly and gave it a very compelling twist. Highly recommend. My name is Victoria Winters. Collinwood, a great house on top of Widows Hill, is a dark and frightening place to end a journey. The ghosts of yesterday seem to tell me to run, but I'm here now. And there's no turning back. 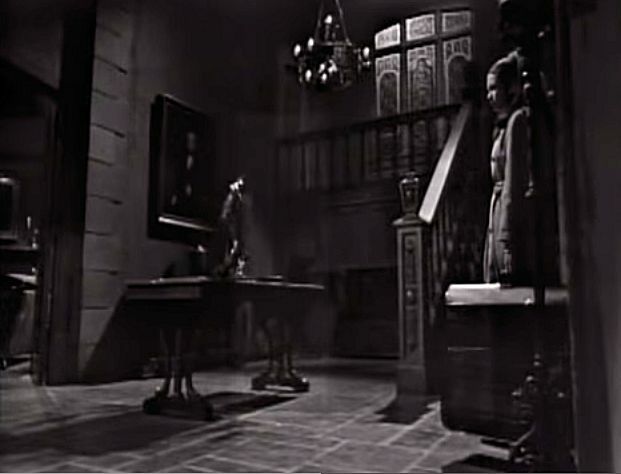 Victoria arrives at the dark, gloomy mansion and is first met by Elizabeth Stoddard. 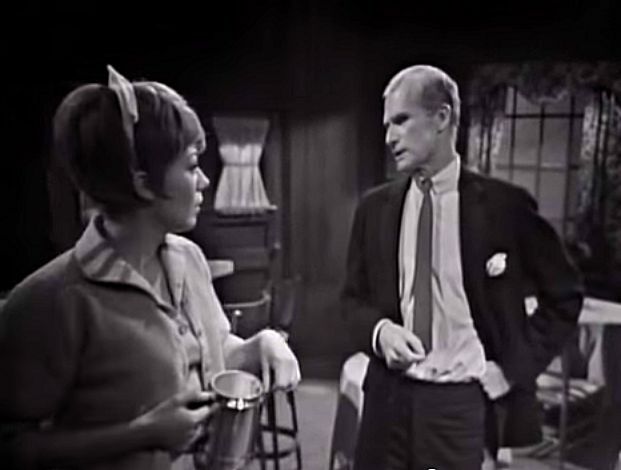 The next scene opens with Carolyn and her boyfriend, Joe Haskell, at a local bar and eatery. 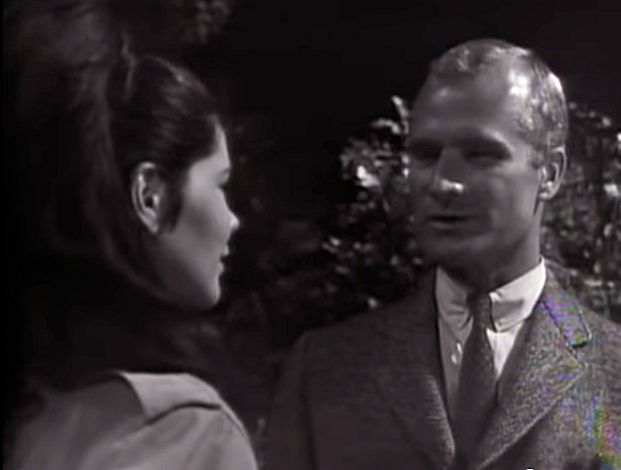 She leaves after making a scene, but not before Burke Devlin gets the low-down on who she is from what appears to be a private investigator he's hired. Carolyn: How do you expect me to go off and leave you alone in this beautiful nut house? Carolyn: You mean she actually came? Elizabeth: A few minutes ago. She's a nice girl, Carolyn. You'll like her very much. Carolyn: All I can say for her, mother, she must be out of her mind. Victoria takes a walk to look at the beautiful scenery out on the cliffs overlooking the ocean when she meets Roger Collins. Roger seems frightened to hear the name Burke Devlin. He says to Victoria, "Oh, we're a strange crew, Miss Winters, strange but I think you'll find most of us are rather nice." Roger then mentions how he hopes Victoria will not find herself lonely, as it's a much different place than New York. Victoria replies that if she is lonely she will blame him as Elizabeth said Roger is the one who arranged for her to come. Roger replies, "If Elizabeth says so then it must be..."
Evil. That was it. An impression of evil swirling around me, an evil so great that it made Sam Wilsons illegal gin seem innocent. I had the feeling that some memory was trying to form itself in my mind. Desperately, aware of my clenched hands and of cold sweat on my forehead, I fought off a sense of invasion, of barriers giving way. To Susan Hapgood, a shy girl doubtful of her own charms, it had seemed almost miraculous that a rich, attractive man like Martin Summerslee would want to marry her. But even before he brought her as a bride to his native Maine village, Susan was aware that something shadowed the miracle- her own jealousy of a dead woman. Mysteriously killed in the crash of her own small plane, Irene Summerslee had been Martin's beautiful and much beloved first wife. Try and she would, Susan could not escape the fear that Martin was comparing her unfavorably with her predecessor. Within a few hours after Susan entered fine old Maine house, she had the first inkling that more than her own jealousy might cast a shadow on her marriage. And from then on, she felt a growing awareness of an evil force that threatened not only her happiness, but even her sanity and her very life. A surprising series of events take Susan down a dark path, to places Irene had been and to people she had known. A Presence In An Empty Room is a fascinating story of suspense as well as a chilling tale of supernatural terror. Susan has just lost her father to a long illness and is preparing for a life alone when she happens to meet Martin Summerslee in a bookstore. They date for only a short time before they decide to be married. 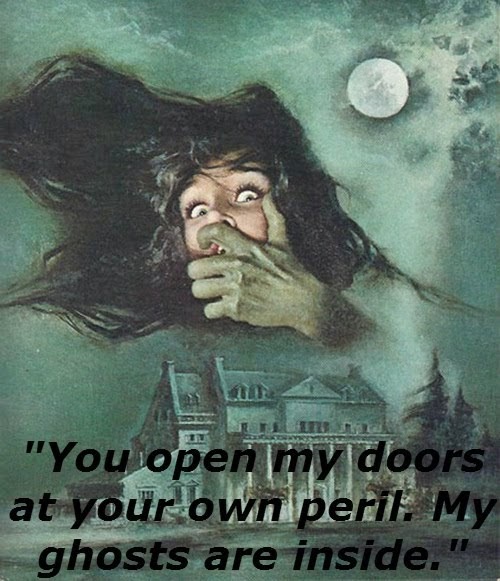 But as soon as Susan enters her husbands hometown, and the great house where he once resided with his lovely (dead) ex wife, her dream turns into a hellish nightmare. It seems everywhere she turns, she's met with kind comments and admiration for the dead wife who seemed such a lovely, innocent, selfless and beautiful woman. Susan feels almost as if she's living in the shadow of a ghost when, without warning, her terrible headaches turn into full-blown possession. 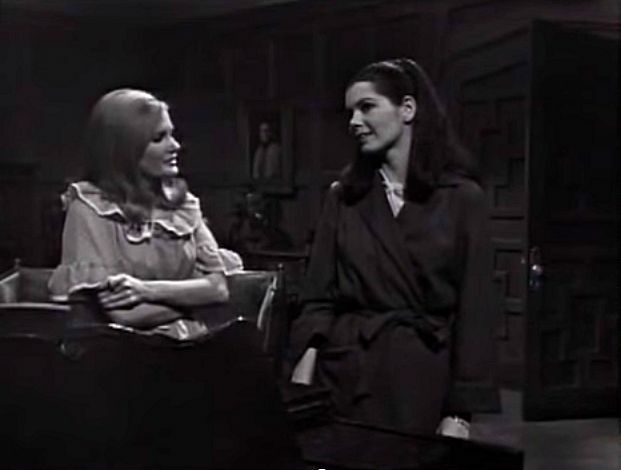 Susan believes her body is being inhabited by the evil spirit of Martin's dead ex wife who, in reality, was a greedy woman who was planning Martin's death when her masquerade went horribly wrong. Susan sees a psychologist, a priest, and finally confides in Martin...who only believes she's insane. I don't want to give away any spoilers by going too much in-depth with the story-line. However, this was a rather engaging story of one woman's jealous insecurity and another woman's evil. Of one woman finding the love that another woman selfishly threw away. It's about greed, selfishness, and betrayal. The only real fault with this book was how quick and weird the transition from 'normal' to 'possessed.' I always hate head-jumping inside novels. However, this is a vintage gothic romance through and through. Totally recommend. As planned, Greg arrived early the following morning for our promised trip into town. Libby was busy tinkering with breakfast as I tip-toed across the foyer. I could faintly hear her in the kitchen. I realized she must be working alone. She hummed jubilantly as she cooked, no other voices were audible. Luckily, I was able to avoid another run-in with Aunt Helen and I breathed a small sigh of relief as I climbed into the old rusty Chevy pick-up and situated the seatbelt. The drive into town was scenic. I hadn’t remembered how remote the area of the old farmhouse until I watched miles upon miles of flatland and heavily wooded wilderness spin by. I chilled at the thought of ever being lost inside those woods, but resolved I’d put those ideas behind me and enjoy my day away from the dreary old place. Greg made small talk, but for the most part he appeared distracted, his brows furrowed against silent worries left unsaid. The town was bustling with activity as we pulled into the cramped little side streets of the historical district. As Greg scoured the crowded parking lots for a vacant space, I couldn’t help but think to myself that some things never change. The tall red high rise buildings in the distance seemed to brush the sky a crimson blur. Men and women in tailored business suits walked with a purpose, their stiff gait a distinct difference than that of the townspeople, who, in common clothing, strolled leisurely past shop windows and food stands. The Sheriff’s office still sat center of Main Street, pillowed snuggly between the hardware store and a thrift shop I used to love exploring, my young hand held firmly in the grasp of Vanessa’s, as we ran from clothing racks to toy shelves, excited and flush-faced. I frowned at the thought, a dapper drawn across my high spirits. “Right this way,” Greg guided me by the elbow after the parking toll was paid to an elderly man at the booth window with a haggard looking face and tired eyes. “Where are we going,” I inquired as I struggled in my heels to keep pace with his quick stride, not without noticing the intimacy for which we appeared to share as he grasped my elbow and pulled me along. We were met almost immediately by a waiflike blond waitress who ushered us to a table in the far right-hand corner of the room. The café must have been built sometime after I’d went away to boarding school, for I’d never eaten there. At a loss with the exasperatingly-full menu, I agreed to a platter of Belgian waffles and mocha espresso at Greg’s recommendation. As we waited for our food, it seemed Greg was scanning the room almost nervously. I noticed that from our perch in the corner we had a clear view of the room and its entrances. “You seem a little on edge,” I finally said, trying to make conversation. Perhaps he was just bashful. Maybe Greg considered this a date. I blushed at the thought and quickly looked away, hoping he would not notice. “You mean about the house…the farmhouse?” I asked, thankful that at least someone else found the whole situation bizarre. “But Greg, Grandfather is rather strict…” what could I say? I hadn’t lived under the same roof with the old man in nearly thirteen years. People do change. “Yes, that’s it. He was strict, had a lot of rules, sure. But never stern. Vanessa was a spoiled girl if ever there was one. And all that talk of something crashing or vases breaking, the old man just wasn’t the sort…” he shook his head and looked away as his voice trailed off. We waited quietly for several minutes as the thin waitress delivered our trays. I had never tasted Belgium waffles and lost myself momentarily in the rich, syrupy texture. The food was exceptional, the iced coffee just strong enough to heighten one’s senses. I couldn’t remember the last time I’d had such a nice breakfast. The college dorm cafeteria usually only had oatmeal and cereal with an occasional pastry. I didn’t want to even recall the dingy, overcrowded lunchroom at the convent. We ate in silence until, satiated, we both leaned back in our seats. I noticed Greg had taken to looking around the room once again, and twice over his shoulder. He seemed at a loss for words and, lost in my own thoughts, I didn’t have much to offer by way of conversation. Except for questions, I really had no input. “So were you and Vanessa serious?” I inquired. According to Aunt Helen, they were much too close for her liking. She obviously had found Greg to be a bad influence. “Close? You mean as in dating?” His eyelids shot up in earnest. “Let’s get one thing straight. Vanessa and I were good friends. Childhood friends. My parents bought the old Richardson farm who, we were told by the property agency, had both passed away years before. The place sat unoccupied until my father took the mail carrier job.” He spread his hands out as if for emphasis. I nodded my head. I could remember the Richardsons, but just barely. I knew Mrs. Richardson was keen on her apple orchard and sold fresh pies to neighboring houses, along with other produce. Oftentimes you could see both, husband and wife, hard at work in their sprawling garden. I smiled forlornly at the innocent memory, sad at the news of their passing. Please check in weekly for updates every Thursday as I continue to make this story available!